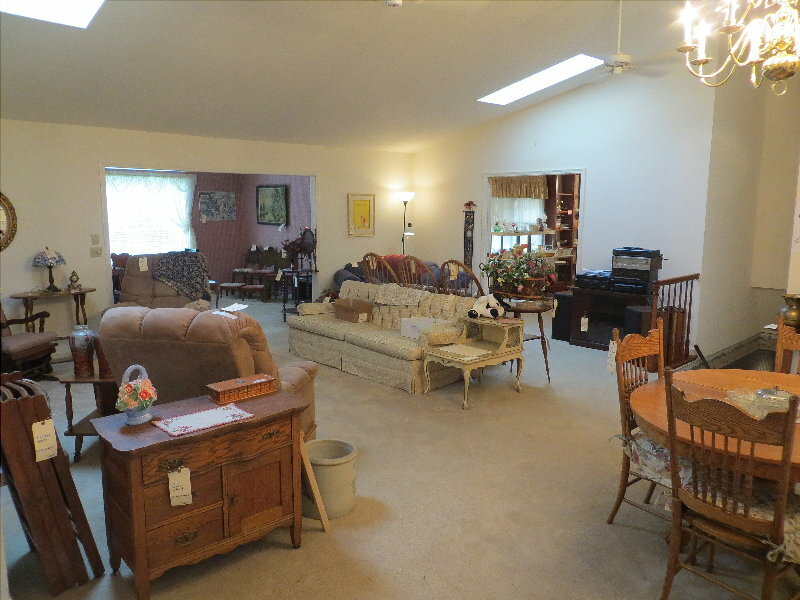 Estate Sales are held on location inside the home and outbuildings. They normally last several days, depending on the amount of items included in the sale. Most sales will require at least two days, but some large estates can require three and in rare cases four days. We literally can sell anything, from household items, to rare antiques. The wider the variety of items that are included in a sale, the bigger the crowd tends to be, and the better a sale does financially. Estate Sale buyers expect a traditional set of rules and pricing schedules, and the best sales follow those traditions as much as possible. The first day of a sale, items are priced and sold only at 100% of the marked prices. Day two will bring a discount. In a two day sale, this would be a 50% discount from the marked prices. In a three day sale, day two will be a 25% discount from marked prices, and 50% on day three. When conducting a sale we will provide a staff of experienced workers who will organize the items to be sold, and see that they are displayed in a manner that promotes an efficient sale. There is a bit of science behind where certan items are located and how they are displayed, all designed to provide the sellers with the best return for the items. Small items will be priced with individual tags, and larger items will have two part price tags. The price of a larger item is located on the bottom end of the tag, and a customer wanting to purchase that item simply removes the bottom portion of the tag and takes it to the check out for payment. This system makes it easy to identify large items that are sold, prevents confusion, and traffic flow problems during the sale. It also increases sales. We provide staff to help customers carry and load large items, making it easy for customers to make purchases, again increasing sales. Most sales will need several weeks lead time before the sale date. The biggest factor in the need for that much time is the need to advertise. A well advertised sale is the best option to increase the total amount realized from a sale. While some sales can be completed in a shorter amount of time, we advise a four week lead time as the best option. One of the best things family members can do to help us prepare for a sale is to identify, separate, and or remove those items that are NOT to be sold. This helps greatly in the presale preparations. While we are glad to have family help during the preparation for a sale, we find it far more efficient to work without help. We also often find that some family members have a hard time dealing with the emotional stress of the process. Our staff can often work far more efficiently during the sale preparations. This means a larger financial return for the family. We require little from the family beyond identifying those items that are not to be sold. We take care of all the advertising, signs, and other items needed to conduct the sale. This is all included in our fee. When the sale is completed, we will total the sales and deduct our fee (A small percentage of the sale), then present the money from the sale to the responsible party. When the sale is over, you can expect an empty and clean house. 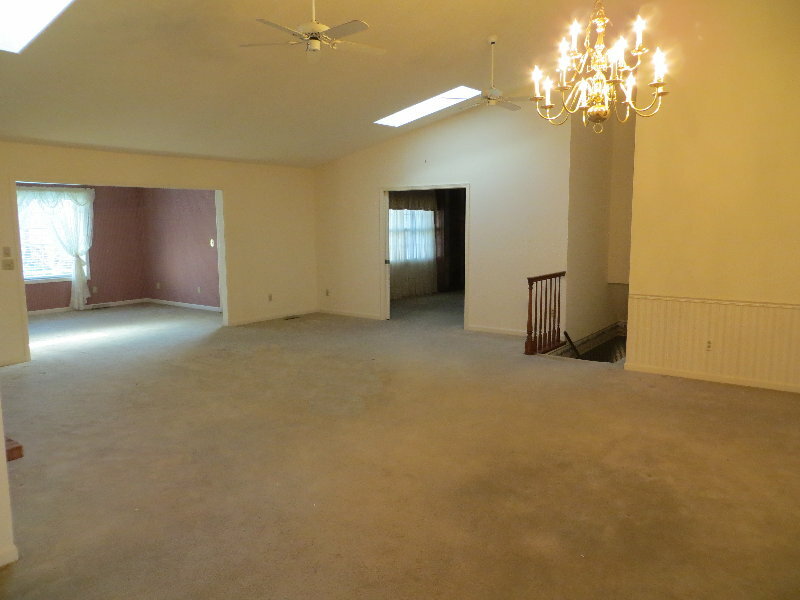 The pictures at right show a typical home before, and after the sale.